Beaches in Moraira, Spain. Moraira has eight different beaches, ranging from beautiful sandy beaches to quiet coves where you can take a swim and enjoy the sun in peace. Here we will show you everything you need to know about the best beaches and beach life in Moraira. Moraira is located quite in the middle of Valencia and Alicante. If you drive from Marina Baja, you can choose the coastal road from Calpe. Here are charming little places in a row. 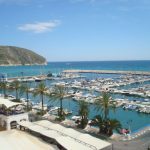 Moraira is characterized by beautiful sloping sandy beaches and sheltered little spots, an exclusive marina, an excellent selection of excellent restaurants and bars, as well as many shops. Most beaches in Moraira have a lifeguard tower with a flag on top that is either green, yellow or red. The intention is to alert you about the circumstances and it is best to take this into account. Although there is practically no tide in the Mediterranean, it is often a strong side stream. It may seem fun to surf the big waves, but drag suction along the bottom of a sandy beach, can make this quite dangerous even for strong swimmers. 1987 was Europe’s environmental year and the year the “Bandera Azul” campaign (Spain) began. FEE The Federación Europea de Educación Ambiental conducts annual checks on Spain’s beaches and deploys the blue flag on all the beaches that meet the environmental protection and good service offerings. 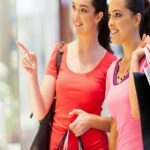 The wonderful climate of Moraira makes this a resort where there is much more to do than spending time on the beach and hopefully this guide on attractions in Moraira will help you where to go and what to do while on vacation in this beautiful part of Spain’s Costa Blanca. This is a beautiful cove in Moraira with fine sand and stones, and is probably the most idyllic beach in the area away from crowded tourist beaches. There are restaurants and cafeterias. The beach is equipped with shower and is easily accessible for disabled people. Parking in the street or in the parking lot above the beach, Playa del Portet. There are a number of small bars and restaurants along the front, showers, and parking. This is truly a quiet, picturesque bay that has nice sand and beautiful clear waters. It is located between Moraira Port and Cap d’Or Tower on the seafront. Some water sports are available at certain times of the year from this small beach. 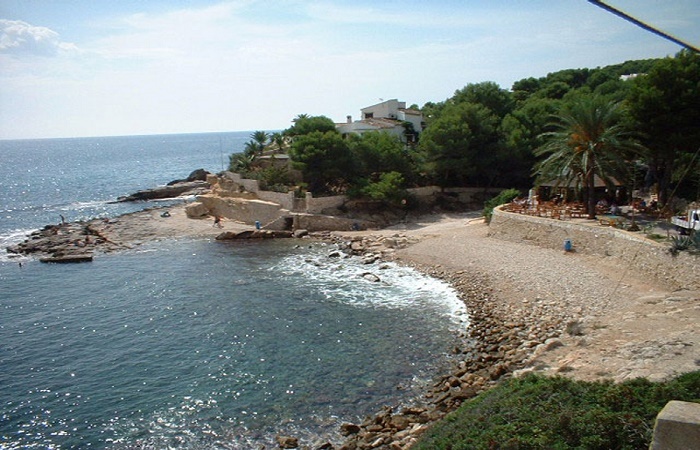 La Cala is a small pebble beach with beautiful clear waters and is a bit difficult to reach. You can walk along the cliff or reach the beach by boat. Here you can experience being alone and being able to sunbathe and swim in peace. Here it’s important to be very aware of the weather, tide, you have a mobile signal, and make sure you tell someone that you are going to be there for safety. Torre Cap d’Dor is another very small beach that can only be reached by walking from the El Portet beach nearby, so no worries about cars passing, and make it a very quiet place to go, and a great beach where you can get away from mass tourism a bit. Club Nautica Marina in Moraira is an exclusive yacht harbor with many facilities. Club Nautica Beach is not officially opened to the public all the time as it is linked to users of the popular marina and yacht harbor. The beach is accessible through the port, and although it is a small place, there is a restaurant there. If you’re not a boat owner, it’s still possible to get in, but it’s best to ask first instead of just walking in. 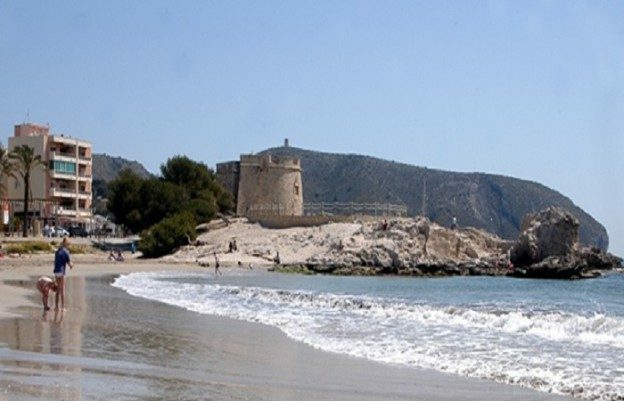 L’Ampolla beach is near the castle and is a golden sandy beach which is the largest and the most popular in the area. There are lifeguards there during the summer season. The beach has a playground on the beach and it is the ideal beach for some fun with the kids or relaxing with your partner. L’Andragó is another quiet rocky beach and it has a very nice restaurant located right on the seafront and is an ideal place to sit and enjoy the view out to the sea. Cap Blanc in Moraira is a beautiful beach on the bottom of some cliffs. There is no direct road connection to the beach, so if you have a rental car in Moraira it’s best to park on the top of the cliffs and take a leisurely stroll down. The beach is in the center of Moraira and consists of fine sand and stones. With its clear waters the beach is well suited for snorkeling and scuba diving. There is also a paseo with all services. Car park, restaurants, and shower. Platgetes beach has very easy access from the parking area. This entry was posted in Moraira and tagged beaches, costa blanca, moraira, spain on November 12, 2017 by webmaster.